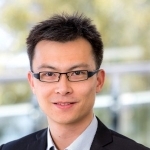 Dr Xingzhong (Jason) Jin, is an NHMRC Research Fellow at the Boden Institute of Obesity, Nutrition, Exercise & Eating Disorders, University of Sydney, and a certified health informatician by Health Informatics Society of Australia. He received his PhD in Clinical Epidemiology at the Menzies Institute for Medical Research, University of Tasmania in 2016. His PhD studied the metabolic risk factors for osteoarthritis (OA) and the effect of vitamin D supplementation on OA. Dr Jin has published 46 peer-reviewed articles (17 as first author) in leading journals of clinical medicine, including JAMA, Cochrane Library, Annals of Rheumatic Diseases, Arthritis & Rheumatism and Osteoarthritis and cartilage. His publications have been cited 375 times (h-index = 11). Dr Jin is experienced in the design, implementation and analysis of randomised controlled trials. His current research interests are to look for early prognostic biomarkers for osteoarthritis and to discover optimal weight loss interventions to prevent osteoarthritis in obesity.